Ideal for children with GIANT imaginations. 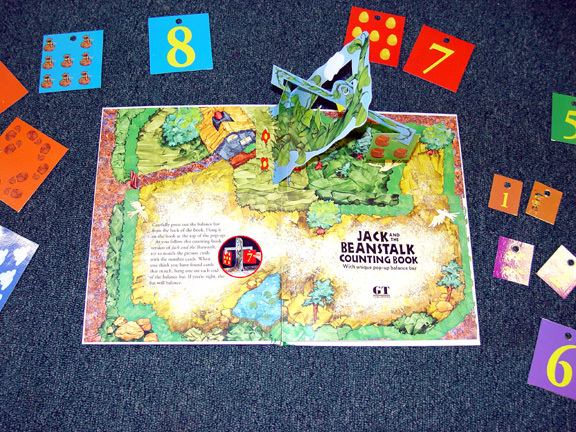 The traditional story of Jack and the Beanstalk comes to life in the Childrens Room of the Free Public Library of Hasbrouck Heights this summer. Using the familiar old story to spin out the 2003 statewide theme of Read and Grow @ Your Library, the Childrens Room is decorated as the Giants Castle complete with stone arches, a drawbridge gate, the goose that laid the golden egg, and a nine footyes, nine foot!giant kitchen chair which children enjoy climbing onto. Hasbrouck Heights resident Steve Turi donated his time, talent and materials to make the astonishing chair. Children visit The Library every week to add to the list of books they have read so far this summer. For every book they read, they get a leaf to decorate, and add to the beanstalk, which has circled the Childrens Room, and is threatening to invade the adult room. In addition, for each 3 books read, children get a magic bean which they can use to buy small toys in the Ogres Emporium. Nine books read gets them extra credit on their reading grade in the fall and an ice cream sundae at the Hasbrouck Heights IHOP. Twenty-one books read gets them all that plus a prize. 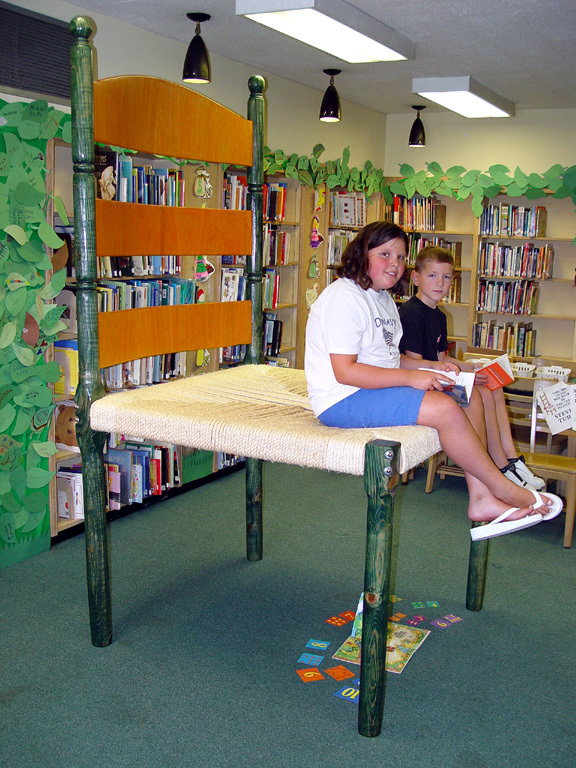 Bring your children to The Library to visit the big chair, or just come yourself to share the fantasy!